Michigan native and four-star recruit Romeo Weems officially signed his NLI Wednesday at a ceremony at his high school. It’s official. DePaul fans can finally breath. All three of DePaul’s commits Romeo Weems, Markese Jacobs and Oscar Lopez put pen to paper Wednesday signing their National Letters of Intent to attend DePaul next fall. DePaul currently holds the third best class in the Big East trailing only Villanova and Xavier and are also ranked No. 20 nationally, according to the 247Sports Composite rankings. 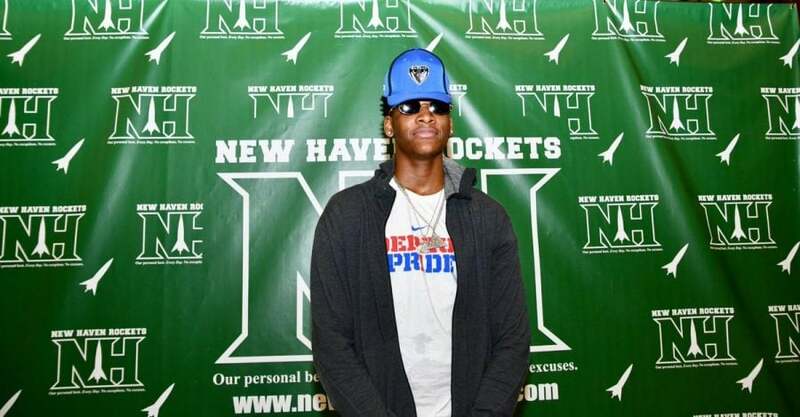 Fittingly Romeo Weems, who was first to jump on board in May, signed his paperwork at a signing ceremony Wednesday afternoon in the same gym he committed to the Blue Demons earlier this year. In a video posted on Twitter, DePaul head coach Dave Leitao expressed excitement about having Weems on board. After announcing his decision, Weems explained his reasoning for committing to DePaul with a simple “why not DePaul?” that would become a familiar phrase with Jacobs as well. The Blue Demons weren’t done adding top 100-propects. 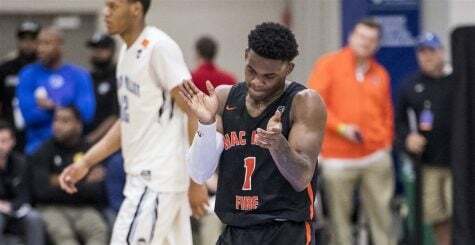 After seeing Lincoln Park small forward Terrance Shannon re-open his recruitment just days after committing to DePaul, the Blue Demons added another top-100 player in Jacobs, who picked the Blue Demons after backing away from Kansas in August. Markese Jacobs picked DePaul over other offers from Kansas, Illinois and Florida State. Jacobs is ranked as the No. 1 point guard by 247Sports. In another video posted on Twitter, Leitao stressed the importance of what Jacobs’ decision meant specifically as a Chicago player that opted to stay home. Jacobs is currently the No. 1 rated point guard in Illinois, according to 247Sports. Leitao then turned his attention to the court, where Jacobs’ talent and athleticism are apparent in just about any film you watch of him. The third member of the class is Oscar Lopez, who rounded out the day signing his letter of intent Wednesday evening. 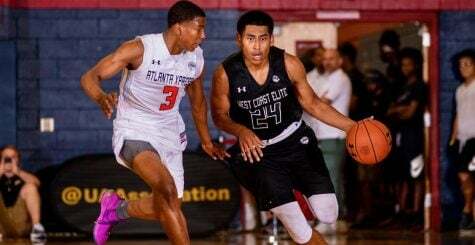 Lopez is a three-star prospect according to 247Sports.com, and really began to garner attention when joined the West Coast Elite Under Armour AAU program last spring. After visiting DePaul earlier this fall, it didn’t take long for Lopez to jump on board with the Blue Demons. Although he is from California, Leitao credited the Chicago brand of basketball Lopez plays, as well as his versatility as some of the things DePaul liked. The Blue Demons are not quite done yet and are still hoping lure back Shannon, who included DePaul in his final six earlier this month along with Georgetown, Florida State, Texas Tech, North Carolina and Illinois. The early signing period runs through Nov. 21, 2018, before the regular period begins on April 17, 2019.